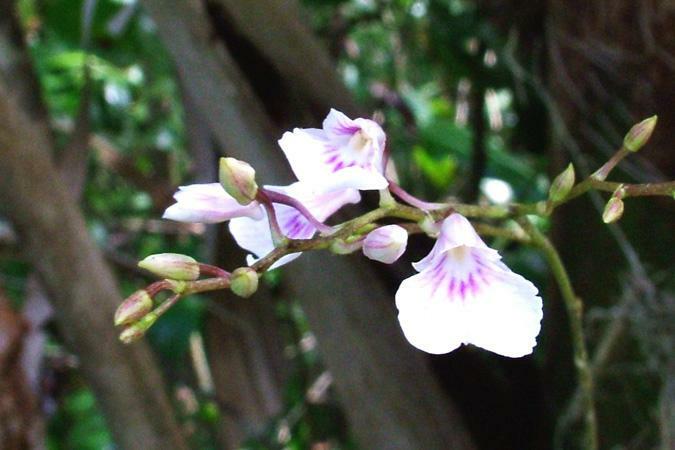 Ionopsis has six epiphytic species that are native to Latin America, the West Indies and Florida. The species all have a sympodial growth form with small pseudobulbs that are hidden by the leaf base. Leaves are leathery, green and folded with a distinctive keel on the underside. 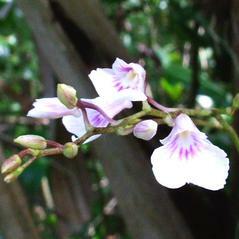 The showy flowers are small and dainty with a distinctive bi-lobed lip. Flower color ranges from white to pale lavender-pink with violet stripes. Panicles of Ionopsis have been reported up to 1 meter in length but most inflorescences are usually less than half that length.